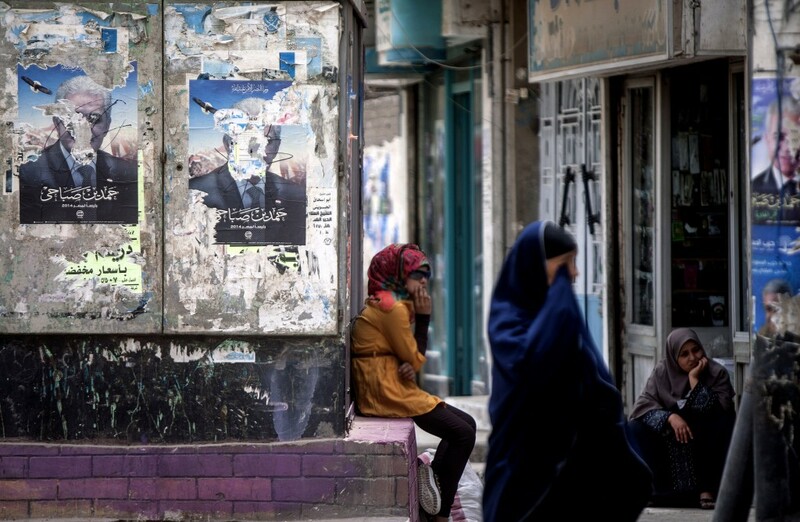 On May 26-27, Egyptians will head to voting booths to participate in the country’s second Presidential elections since the January 25 revolution in 2011. While the media has been awash with opinion pieces, analysis and more on the Presidential candidates, it is equally important to learn of the two candidates’ roots. So who is Abdel Fattah Al-Sisi? What about his contender Hamdeen Sabahi? Find out below. Abdel Fattah al-Sisi was born on November 19, 1954 in the ancient district of Al-Gamaliya where his father owns a small business. He is married and has three sons and one daughter. Sisi graduated from the Egyptian Military Academy in 1977 before taking a General Command and Staff Course at the Egyptian Command and Staff College in 1987. In 1992, the former army chief took a General Command and Staff Course at the Joint Command and Staff College in the United Kingdom. He was then granted a Fellowship of the Higher War College at Nasser’s Military Sciences Academy in Egypt in 2003 and a War Course at the US Army War College in the United States in 2006. He also served as the Egyptian Military Attaché in Riyadh, KSA, at some point and took a Basic Infantry Course in the USA. Sisi was the Director of Military Intelligence from 2010 until the January 25 uprising in 2011. Ousted President Mohamed Mursi of the Muslim Brotherhood chose Sisi as defense minister in 2012 to replace Field Marshal Hussein Tantawi. On July 1, 2013, the armed forces, headed by Sisi, issued a statement to the Egyptian people granting Mursi 48 hours to respond to the demands of protesters who had taken to the streets since June 30. On July 3, Egypt’s army released a statement ousting Mursi who is now behind bars facing trial over allegations that include murder. In a televised speech later in July, Sisi appeared and called out for Egyptians to demonstrate to mandate the army to confront terrorism. Sisi was then promoted to Field Marshal by interim President Adli Mansour on January 27 this year before he resigned as defense minister on March 26 in order to run for Egypt’s presidency. 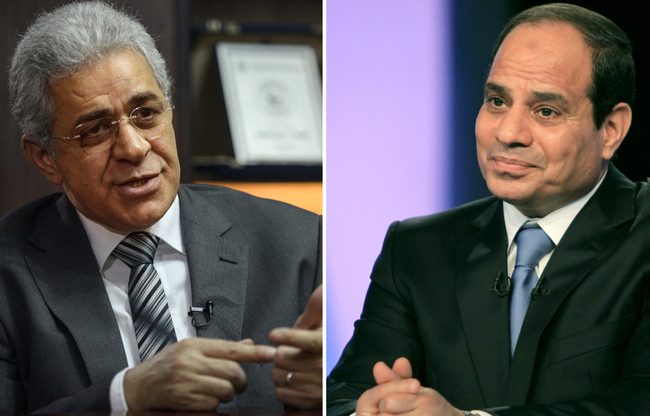 Only Sisi and leftist politician Hamdeen Sabahi were able to fulfill the requirements to run for presidency. The two will compete for office this month on May 26 and 27. 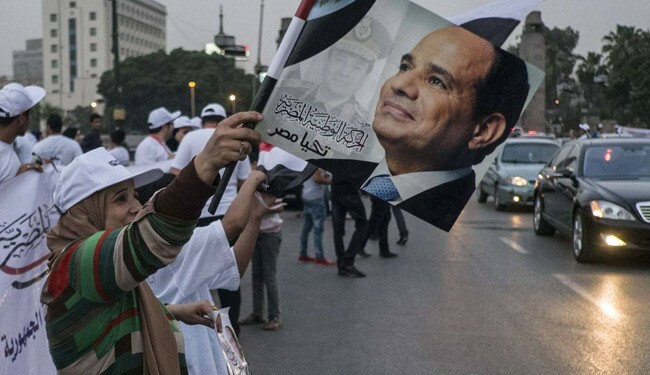 Parties that have announced their support for Sisi: Al-Wafd Party, Al-Masryeen Al-Ahrrar, the Salafist (ultraconservative) Nour Party, the Nasserist Party, Al-Moatamar Party, Al-Tagamoa Party and the National Egyptian Movement Party. Hamdeen Sabahi was born on July 5, 1954 in a small Nile Delta town in Kafr el-Sheikh governorate called Baltim to a farmer father. Sabahi is married and has one daughter and one son. Sabahi studied Mass Communication at Cairo University in 1975. During his college years, the Nasserist politician began his political activism and ran for Student Union elections. Sabahi attracted public attention in 1977 when he confronted former President Anwar al-Sadat during the president’s visit following the peace treaty with Israel. The opposition leader worked as a journalist after graduation, mostly for Nasserist newspapers, before becoming the editor-in-chief of Al-Karama weekly newspaper. Sabahi ran for parliament in 2000 and 2005 and represented al-Borolos and Hamool districts in Kafr al-Sheikh. In 2003, Sabahi was detained in demonstrations against the United States invasion of Iraq, despite his political immunity due to membership in parliament. Sabahi then co-founded the Nasserist al-Karama Party as well as the Arab Socialist Party and the Arab Nasserist Party. Sabahi took part in protests against Hosni Mubarak’s regime in January 2011 and demonstrations against the Muslim Brotherhood administration in June 2014. 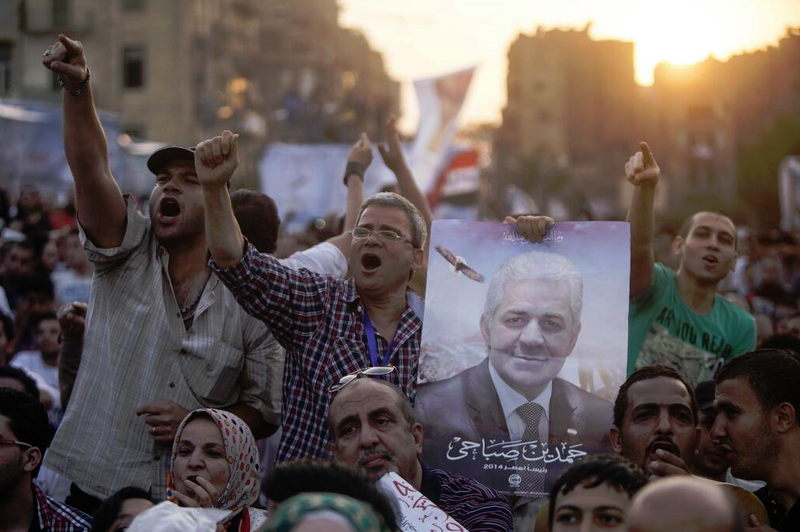 Sabahi came third in 2012’s presidential elections that brought the Brotherhood to power with over 20% of the overall vote. Sabahi founded the Popular Current Party in 2012. He also co-founded the National Salvation Front, a liberal front created to oppose the Mursi administration in 2012. Sabahi officially announced his intention to run this May’s presidential race on February 8, 2014. 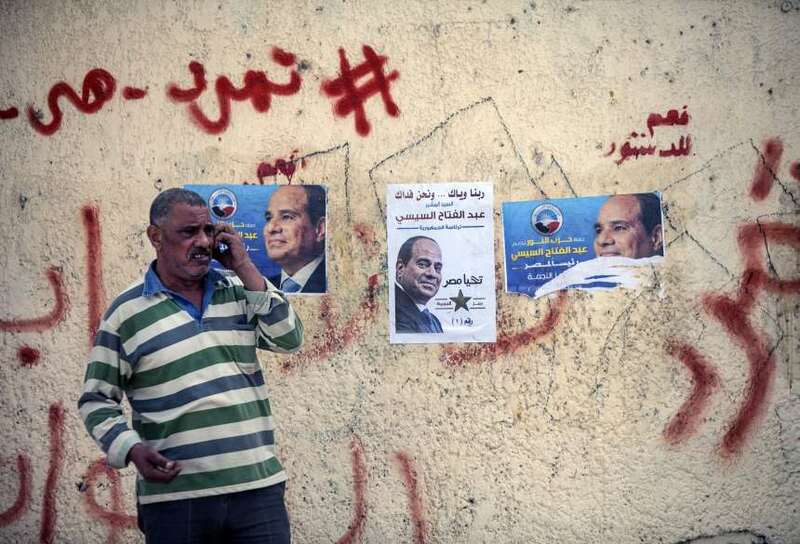 Only Sabahi and former army chief Abdel Fattah al-Sisi were able to fulfill the requirements to run for presidency. The two will compete for office this month on May 26 and 27. Parties that have announced their support for Sabahi: Al-Dostour Party, the Popular Socialist Coalition Party, the Popular Current Party, the Revolutionary Socialists Party, Al-Adl Party, the Nasserist Karama Party and Masr Al-Horreya Party.